Have a question about the Mares Drak USB Interface for Nemo and Puck Dive Computers? Illuminated information provides immediate indications about the status of the interface. Transferring data to a PC allows divers to view and manage their dive data and supplement it with additional information for a complete logbook. The dive simulator is a useful diver training tool and analysis instrument. PC Interface is used with Nemo Wide, Nemo Air and Puck computers. This product will enable you to display and manage your dive data, and complete the description of your dives by entering additional information. The software is also a useful training tool, with its dive simulator, as well as a valid analysis instrument. 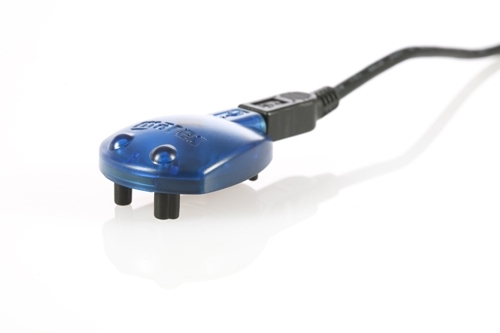 Included with the PC Interface is a standard serial cable with 9-pin connector, Interface unit for the dive computer, Interface Program CD-ROM and an Instruction Manual. Currently for Nemo Wide, Nemo Air and Puck computer line.